TREK HOPPERSWe know the way! MAY TRIP DATES ANNOUNCED (1-4) WE ARE ALSO RUNNING TRIPS THROUGHOUT THE REST OF THE YEAR TOO! 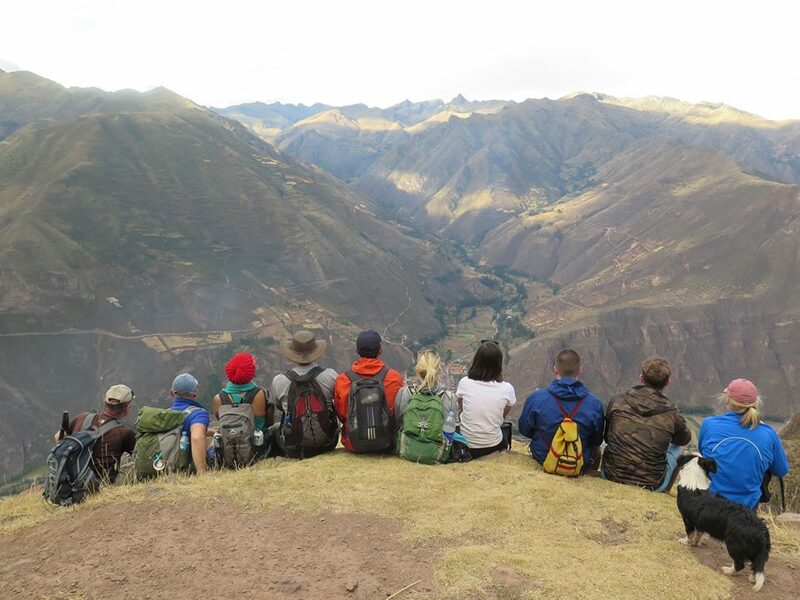 Trek hopping’ is a unique and different way to explore and experience the Andes regions by foot. We offer to get you from A to B in day stages, whilst visiting and staying in local communities along the way. Our group sizes are ideally from 4 - 14 members as we want to keep an intimate number of people trekking these routes, where accommodation within the communities may be limited. We do not want to arrive 'en-mass' everywhere we go. Thus giving as a better control group dynamics and pace. We contribute back to the places we go and have the opportunity to pick up trash too, trying to be as culturally and environmentally conscious as we can! Designed for the more independent hiker, 'Trek hopping' means that you can join up or leave again at various stages of the journey and pay only the amount per stage/leg of the trip that you wish to do, which is $69 USD for a 24 hour period or $125 USD for a 48 hour period. In return, you will be in small groups of like-minded people of all ages from all over the world, which makes this is a very sociable way to do the trip - we want you to make friends along the way! You can bail out if feeling tired or harsh weather begins to prevail, do an easier section or harder ones. We will help coordinate the local transport to get you to the next stop and in the case someone gets sick, clinics or hospitals are never more than a few hours away. The towns of Chinchero, Pisac, Calca, Urubamba and Cusco all have at least basic medical facilities. If doing the entire journey, you can stop to wash clothes and take fresh showers, which means you can travel light - just 1 or 2 changes of clothes to bring with you and as we are in family home-stays, there is no need for carrying tents and sleeping bags. · We can go as green as possible. Plastic is a huge and endemic problem here in the Andes of Peru. Locals from these outpost communities are less educated on recycling materials than most. Deposits and truck collections are hugely nowhere to be seen. We encourage you to bring Nalgene bottles or pouches. We will bring a steripen and provided boiled water where available. We will provided fabric bags for purchasing snacks at the markets. hazardous environmental impact in the rural areas and mountainsides. · In turn those committed to trash/rubbish collecting will receive $5 USD off on each trek day as an incentive to be more enviro-friendly too! · We do not expect you to carry mountains off the mountains or an equivalent to what could stack up a truck or mule! We mean, a reasonable amount that you are comfortable to carry, which could be of up to 10 or 15 small plastic bottles for example. · We shall also let you know if any other community work is going on at the time of your trip (please enquire) as we have contacts with the local Municipality and at times throughout the year, there are opportunities to help with trail maintenance, water sanitation projects and tree-planting to do along the way.